Adding buzz to the already abuzz Sao Paulo Motor Show in Brazil, Hyundai has unveiled the Hyundai HB20X crossover. The Hyundai i20 based crossover promises the agility of a small car and the sturdiness and off-roading marvel of a sports utility vehicle. Just as the i20 has created its own space in the segment and in India it has at a time given the toughest fight to the best selling Maruti Swift, the HB20X is also expected to be the wonder car in the mini crossover segment. The car has been unveiled when two other similar cars Volkswagen Taigun and Nissan Xtrem were are unveiled at the show. However, contrary to the other two, the Hb20X will be undergoing production soon and the car maker has high hopes with it. In addition to its own worth, the new Hyundai car will be getting the advantage of being based on the i20 hatchback as people will be looking forward for the same comfort and agility in the new car as well. Being a sports utility car, the new i20 based HB20X will have a lot of features though in the miniature form and this will again be giving a tough time to the other SUVs including the Ford Ecosport and the Renault Duster which are creating much abuzz in the market. In order to give a really rugged look to the SUV, Hyundai has kept the wheel guards unpainted while the front bumper and the wheel designs are unique and were not seen on any of the Hyundai cars. 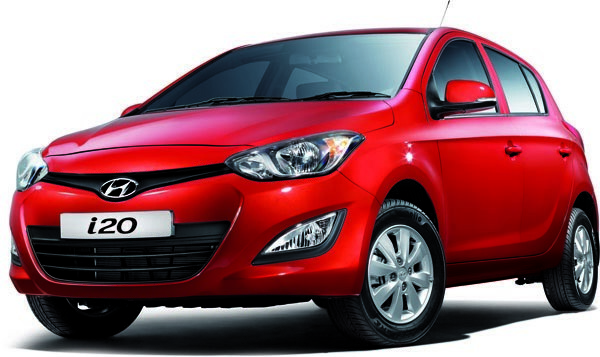 In Brazil, the Hyundai HB20X will be powered by 1.6 L petrol engine and so there will be no shortage of power. The engine outputs over 95 kW of power and this is sufficient enough to take this SUV to any terrain.